There is a growing trend, for which the internet is probably to blame, of people eschewing traditional, down-on-one-knee proposals for flashmobs and drones and giant Transformers robots. 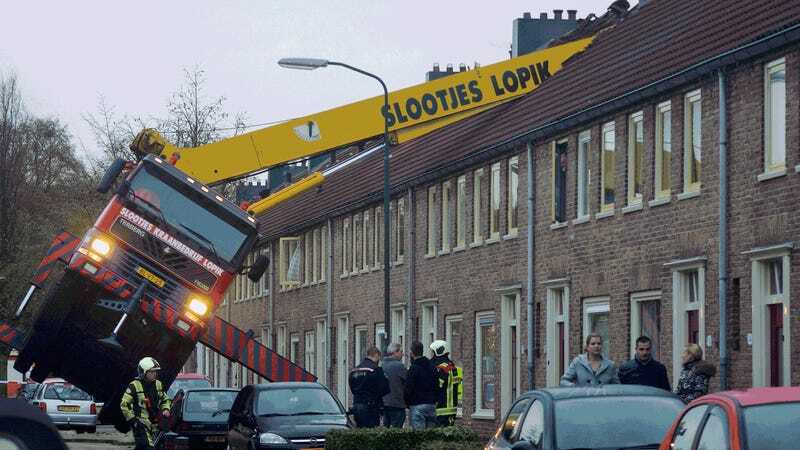 It was all bound to end in tears — specifically, with a crane smashing through an apartment building. In the name of love. This dramatically screwed-up proposal comes to us courtesy of the sleepy Dutch town of IJsselstein. According to a number of breathless media reports, the modern-day Romeo was trying to use a crane to lower himself outside the window of his beloved, before serenading her, and, presumably, offering some kind of ring.